Looking for some cute, affordable Mason jar crafts or gifts? 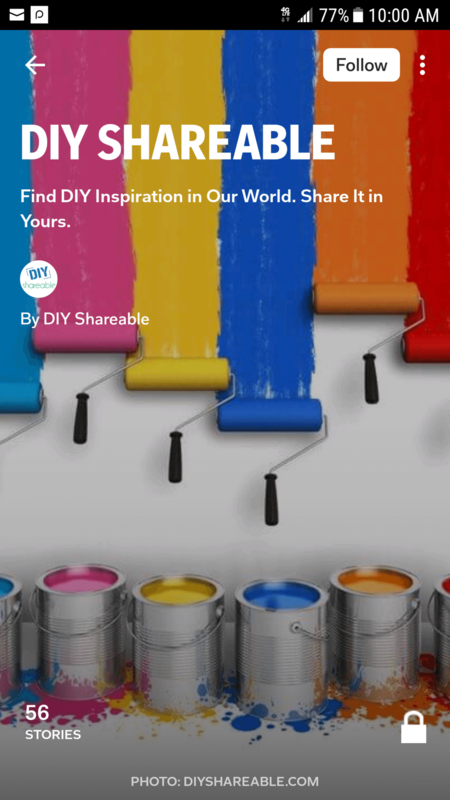 Recreate any of these DIY mason jar ideas below or find inspiration to dream up your own. Mason jar crafts have exploded in popularity recently. For starters, they are easy to find, affordable and extremely versatile. What more can you ask for from a craft? From storage to decoration to edible gifts – you can do almost anything with a Mason jar! Consider them the “MacGyver” of crafting. Round up your collection and see which items from our list inspire you to break out the hot glue gun. From hanging lights and bathroom organizers, to sparkling snow globes and cookie mix – we have it all. Our favorite crafts are those that essentially use items you already have at home. If you’re a regular DIYer you might find you can make these Olive Oil Candles without ever leaving home. Take your favorite smaller jars, a bottle of olive oil, and some wicks and you’re ready to go. If scented candles are your thing you can add in candles scents, essential oils, or even dried herbs to spice things up a little. Those that are looking for step by step instructions can find the tutorial here. Most DIYers have a healthy collection of sewing supplies. Most of us also have a habit of letting the chaos get a hold of our crafting rooms and we spend a crazy amount of time hunting down where we set those straight pins down last. Your hunt will be over with these absolutely adorable Mason jar sewing kits. The pin cushion built into the lid is such a great added bonus! Make your own here. Once you get the hang of it you’ll be making sets for everyone in your life. We think a sewing set like this would be especially great to include for a college students survival kit! Functional and stylish – what more can you ask for? We love these elegant lotion or soap dispensers. You could fashion a matching set to use in your bathroom or on a vanity. As an added bonus, you might find you have all the supplies already. Throw in a little power drill action and some forging for the pendants and the fun really ramps up. These dispensers make excellent gifts to for everything from birthdays to baby showers. Get all the details here. If you prefer the foaming soap dispensers there’s even a tutorial for that! Hobby Lobby and other craft stores are full of vintage style crates. Some might have cute sayings on them while others could be vintage Americana. If you’re really lucky – you have the real thing like Farm Fresh Vintage Finds did in the form of a vintage Coca Cola crate. From there it’s as simple as grabbing a few tools to cut the crate to size and a little handy work attaching the store bought pendant lights to the Mason jars. Whether you have a man cave that needs something over the bar or pool table or your dining room lighting could use an update – this lighting really is versatile and fun. If you aren’t comfortable with wiring the light yourself, this video could be helpful. There are very few things that boys love more than Superheroes! (Although, money may be one of them!) You can combine the two by fashioning these great Mason jar Superhero banks. Everything you need to make them should be right at your fingertips. The kids can even get in on the action by painting the jars themselves! If the kids aren’t into Superheroes, get creative and pick a theme they do like. Can you paint an Olaf? Construction workers? Princesses? Imagine fashioning a crown on top of the lid….how cute! #6: Good Enough To Eat! We can’t think of too many people who wouldn’t love getting a sweet treat in a jar! We love giving these around the holidays instead of actual baked goods. After all, most people are already suffering from cookie overload at that point. With this gift, they can stick it in the pantry and pull the cookies out to bake once they get a hankering for them. Customize these cookies using whichever candies or chips you’d like or search the internet for the countless other recipes that abound. From Cranberry to White Chocolate Macadamia Nut – the possibilities are endless. Make sure you layer the ingredients in order to preserve the look! Adults shouldn’t corner the fun when it comes to Mason jar crafts! Let the kids have fun and create some gorgeous works of art with Mason jar crafts for kids. Jars, salt, and chalk are really all it takes to make these. Although you should really also have a good bit of patience and a tolerance for messes….this is a fun but messy craft. The more they rub the salt with the chalk the brighter the colors will be! Just remind the kids not to shake the jars or their patterns will dissipate! Turn “Back to School” to “Back to Cool” with this great teacher Mason jar gift! Using little more than a jar, paint, and washi tape, you can craft a great pencil and pen organizer for the special teacher in your life. Fashioned to look like a composition book, we’d suggest adding the teacher’s name to the jar. Detailed instructions are available here. Fill the jar with rice to keep the pens and pencils in place. Or to really earn brownie points, fill it with candy so the teacher can power through the 2 o’clock slump! We love this DIY rustic planter fashioned out of painted Mason jars! Imagine how great one of these would be in the kitchen with fresh herbs growing in it. A pinch of parsley, a sprig of thyme, or a few leaves of basil right there where you need them! They would also work great for a pop of color by the front door with some seasonal flowers in them. For the black thumbs in your life, you could plant succulents which are fairly low maintenance! Try your hand at making one today. The sound of wind chimes tinkling outside can be so soothing and comforting. There’s a good chance that you have friends or loved ones in your life who happens to collect wind chimes. Why not surprise them with a Mason jar wind chime exclusively made for them by you? There is cutting and drilling of glass involved so this task might be for a more experienced DIYer. But, if you’re willing to try there’s a great instructional here. 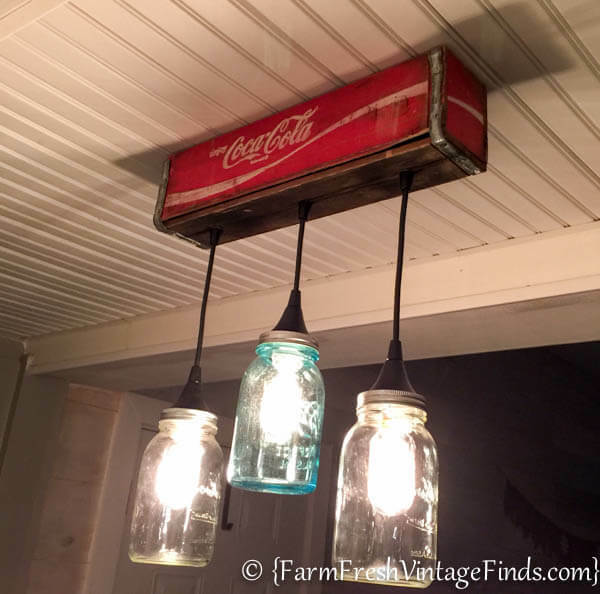 Once you get comfortable with this project, she also has other great ideas on using wine bottles along with the Mason jars! Fall is coming and meal sources for birds will be disappearing quickly. Help the little guys out as they get ready to fly south for the winter and enjoy watching nature’s beauty with a DIY Mason jar bird feeder. If your life or your dining room table needs a little spicing up, these DIY Mason jar salt and pepper shakers should do the trick! Personally, we would make the pepper shaker black, but that’s just us! Think beyond salt and pepper to the other items in your kitchen – Parmesan cheese, powdered sugar, garlic – what is your family’s fancy? Get your instructions here. Have you ever come home from a trip to the beach and wondered what the heck you can do with the sand, seashells, and other mementos you’ve brought back with you? Now you can make those memories last long after the sound of the sea has faded with these great summer memory jars. Remember not to limit yourself to summer memories. You can make a memory jar of concert stubs, camping trips, and so much more. Find out all about it here. You can have the white Christmas you’ve been dreaming of any time you want with these Mason jar glitter snow globes. Choose your favorite Christmas figurines (or even your kids’ Happy Meal toys), glue them to a mason jar lid. Then add the glycerin, water and glitter. Give it all a good shake and watch as the snow floats down over Frosty, Spiderman, or a jolly old elf. If you’d like a less messy option for this snow globe, you can also use mini Styrofoam balls as your filler! Step by step instructions are available here. Gumball machines, candy dispensers, and the like bring out nostalgia and warm the hearts of everyone – young and old. I mean, who can resist walking by and pulling a level to dispense a handful of jellybeans, M&M’s or Skittles? Dentists might be the only ones who wouldn’t delight in receiving this great Mason jar gift idea. A fully downloadable PDF set of instructions is available so you can craft your very own. Have you ever experienced the frustration that comes with trying to find a lamp that fits your home décor? It can drive someone batty trying to find a lamp that fits both their style and budget. This idea could be your rescue. While she used sea shells as a filler you could really use anything that matches the look you’re going for. From coffee beans to baseballs, nuts and bolts to ribbons and lace – the look can be suited to whatever fits you. Be sure to pick lamp shades that compliment and complete the look. Why is it that a bathroom can go from clean to “Oh My Goodness, What Category Hurricane Just Swept Through Here!” in less than five minutes? We think we’ve finally come across a way to truly have a place for everything and it’s budget friendly while being fashion forward. Even better – they even have a video tutorial so you can follow along while you craft your own. Make sure to think beyond the obvious needs for organization in your bathroom. Sure you need to store Q-tips, toothbrushes, and cotton balls, but what about fashioning another organizer dedicated to everything hair? That one can hold hair brushes, curling irons and straighteners, hair product, rubber bands, head bands, bobby pins, clips and more. The trick to truly being organized is realizing what really needs to be contained! We’ve really only touched the tip of the iceberg when it comes to Mason jar craft ideas and gift ideas. There’s so many more ideas out there for you to try and adapt to your needs. The foodies in your life might like getting soup or bread dip mixes in a jar. Granddads, husbands, or boyfriends alike could use a space to organize all of their fishing tackle or jars painted with magnetic paint, so they can keep nuts and bolts contained in case of spills. Girlfriends might like a Spa Day in a jar or even a salad in a jar. We’d be here for days listing all the possibilities available to you! Let us know what your favorite projects on this list were. Is there an idea you’ve been searching for that you can’t find anywhere or have you invented your own creative use for a Mason jar? Let us know. Make sure to send us pictures of your work and don’t forget to share these ideas with friends as well!